To manage cholesterol, doctors still recommend that you follow guidelines regarding diet, exercise, and medication. But owning a pet has the potential of making it easier to avoid the dangers of cholesterol. 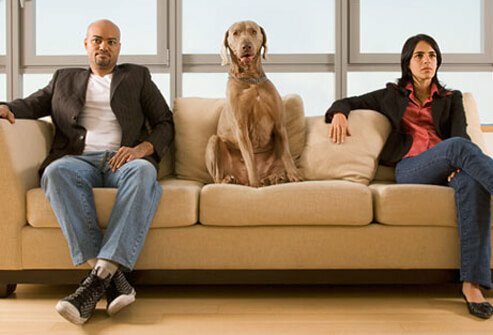 Researchers have noted lower levels of cholesterol and triglycerides in people who own pets compared to people who don't. However, this could be attributed to lifestyle factors of pet owners. Therapists have been known to prescribe a pet as a way of dealing with and recovering from depression. No one loves you more unconditionally than your pet. And a pet will listen to you talk for as long as you want to talk. Petting a cat or dog has a calming effect. And taking care of a pet -- walking with it, grooming it, playing with it -- takes you out of yourself and helps you feel better about the way you spend your time. 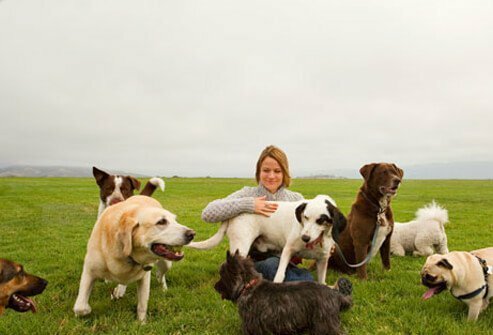 People who own dogs tend to be more physically active and less obese than people who don't. 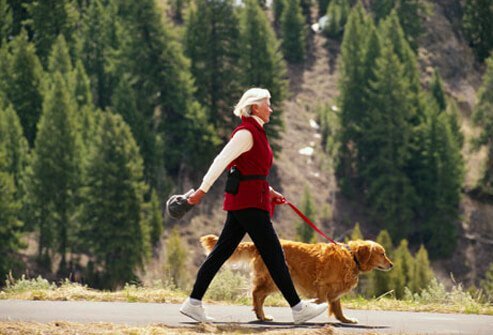 Taking your dog for a daily 30-minute walk will keep you moving and ensure that you meet the minimum recommendations for healthy physical activity. Two 15-minute walks, one in the morning and one in the evening, will do the same thing. And after that, just playing fetch in the back yard with your dog will earn you healthful dividends. 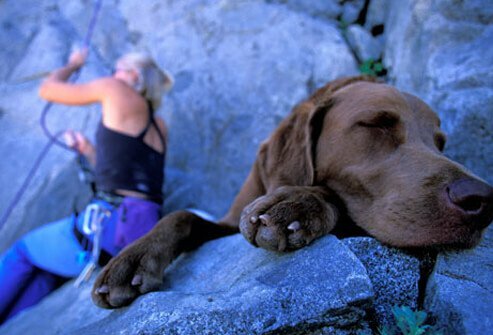 If you exercise with your pet, you'll both benefit. Shine a flashlight on the wall or wave a string while you do a step aerobics routine. Your cat will get a healthy workout chasing the light, and you'll be thoroughly entertained. 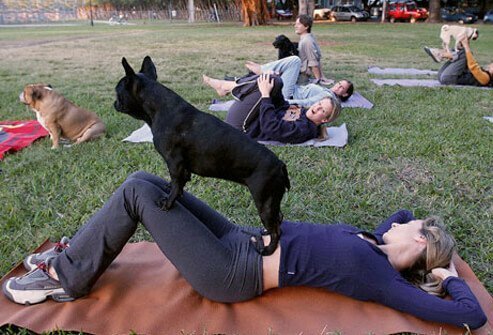 And nationwide, there are yoga classes for people and their dogs, called doga. Call your local gym or ask your vet if there are similar programs in your area. Researchers aren't sure why. But cat owners have fewer strokes than people who don't own cats. It's partly due to the effects owning a pet can have on a person's circulation. 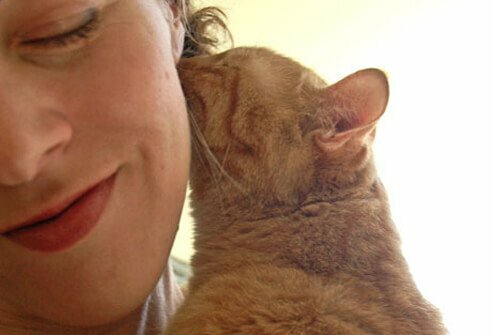 But researchers speculate that cats may have a more calming effect on their owners than other animals do. It may also have something to do with the personality of a cat owner. 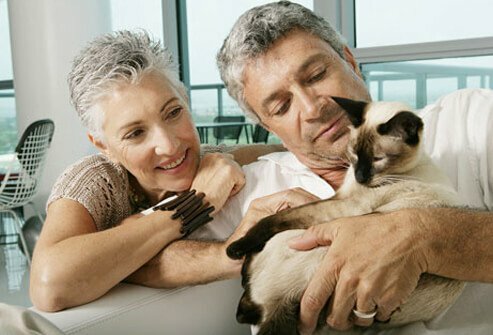 Cats often become the focus of their owner's interest, which diverts them from other stressful worries. 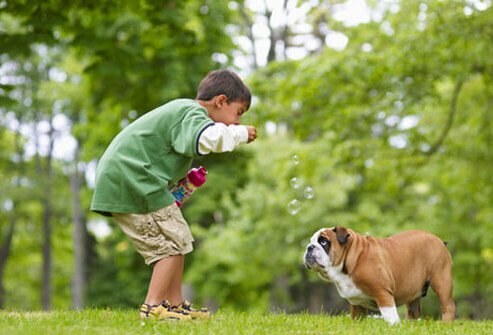 Researchers have found that when children grow up in a home with a dog or cat they are less likely to develop allergies. The same is true for kids who live on a farm with large animals. In addition, children with pets have higher levels of certain immune system chemicals and therefore have a stronger immune system. This will help keep them healthy as they get older. It doesn't seem to make sense. 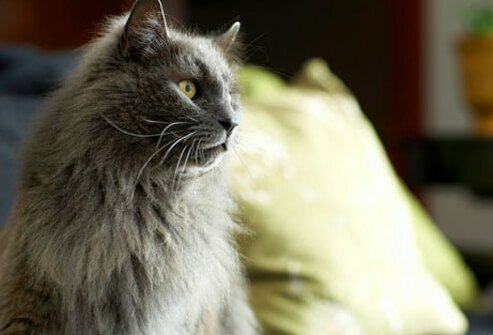 Pet allergies are one of the most common triggers of asthma. But researchers have studied the effects of having cats in the homes of infants at risk for asthma. What they found was that those children were significantly less likely to develop asthma as they got older. There's one exception. 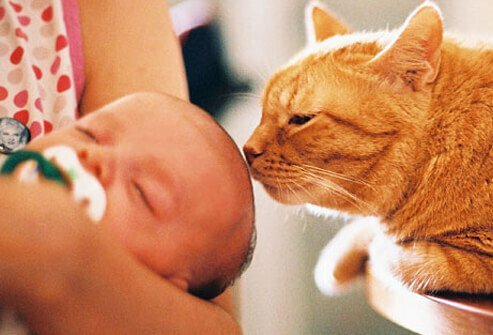 Children whose mothers have a cat allergy are three times more likely to develop asthma after early exposure to cats. Some mental health therapists use a dog in therapy. A dog in the office may help someone be more comfortable. But that's not all. A remark to or about a dog may show what's really on someone's mind. One therapist tells about a couple in his office who started arguing. The dog, which usually just slept during the session, got up and wanted out. He used that to help the couple see how their fighting affected others, especially their children. 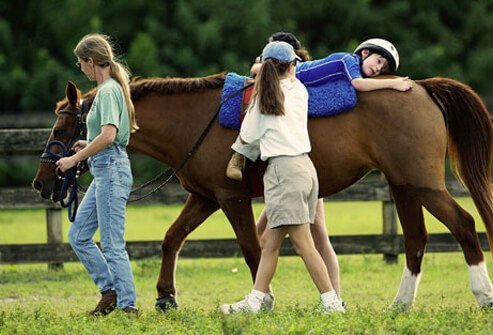 Kids with ADHD can benefit from working with and keeping a pet. Taking charge of the jobs on a pet care schedule helps a child learn to plan and be responsible. 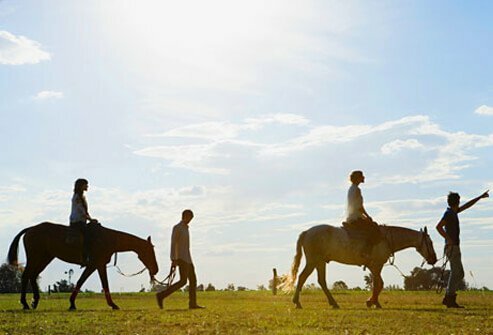 Pets need to play, and playing with a pet is a great way to release excess energy. That means an easier time falling asleep at night. 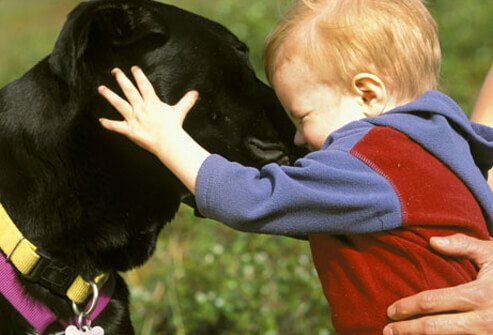 And because the bond between a pet and a child is unconditional love, pets help children with ADHD learn about self-esteem. Strong bones are your best defense against osteoporosis and painful fractures. Walking your dog helps. It's a weight-bearing exercise that strengthens your bones and the muscles around them. It also lets you spend time in the sun, which provides vitamin D. If you have osteoporosis, be sure you guard against falls. Use a short leash that won't get tangled. And don't walk a dog that is liable to jump on you and make you lose your balance. If you have arthritis, you know its important to stretch. You also know it can be hard to know when you're stretching enough. Cat owners may want to learn from their cat. Watch how many times she stretches every day, and when she does, you do it too. If you can, get down on the floor and go through the same motions. If you can't get on the floor, sit on a chair and follow along by stretching your upper body. 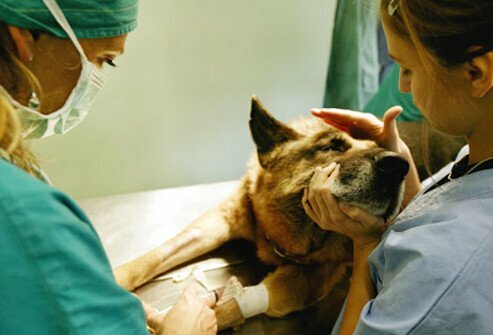 If your dog has arthritis, you can use the effort to manage his to help manage yours. When you make an appointment at the vet, also call and make your own doctor's appointment. 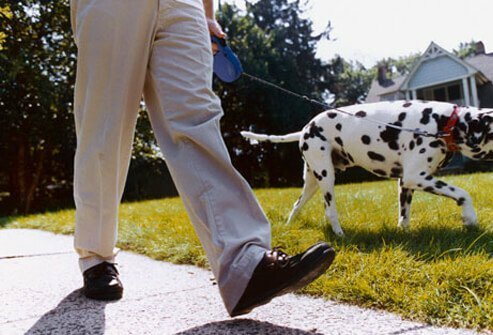 Regular exercise is important for both of you, so walk with your dog. Keep your medicine in the same place you keep the dog's. That way you'll see it when you get his. And if you can, coordinate taking your medicines at the same time you give him his medicine. 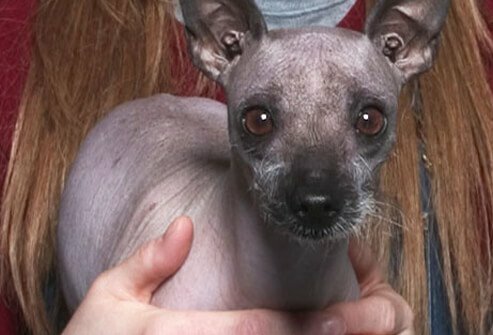 A Mexican hairless dog called a Xolo is known for generating intense body heat. 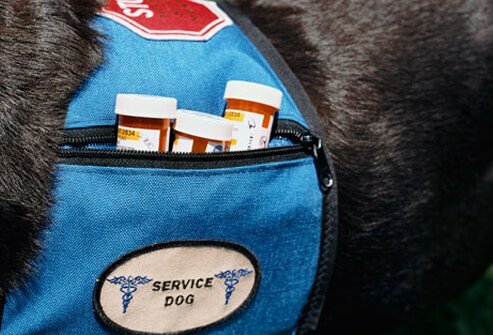 An organization called Paws for Comfort trains Xolos to be service dogs for people with fibromyalgia and other forms of chronic pain that respond to heat. People get relief just by placing their hurting limbs against the dog's body or lying up next to it. 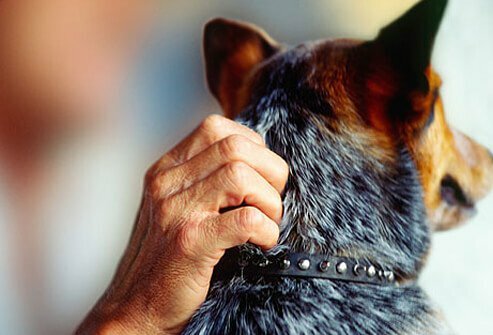 Some dogs have even been trained to ride around wrapped around the neck of a person with chronic neck pain. 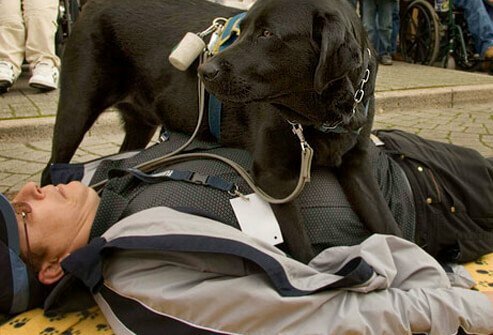 A "seizure dog" is one that has been specially trained to live and work with people who have epilepsy. Some are trained to bark and alert the parents when a child is having a seizure outside or in another room. Some lie next to a person having a seizure to prevent injury (as seen in this demonstration). And some work has been done training dogs to warn before a seizure occurs. This gives the person time to lie down or move away from a dangerous place such as a hot stove. 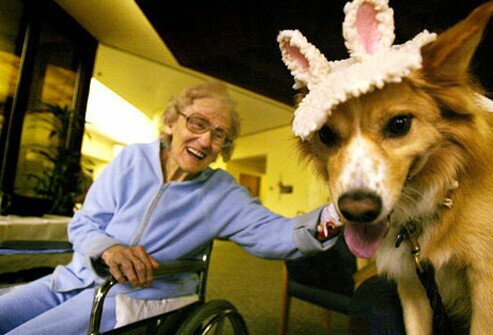 Specially trained dogs can perform tasks that let people with Parkinson's disease maintain their independence. They can pick up dropped items or fetch requested ones. They can provide balance support, open and close doors, and turn lights on with their paws. They can also sense when someone with Parkinson's is "freezing" and touch the foot to let the person keep walking. Groups like Pet Partners can help you find a good service dog. 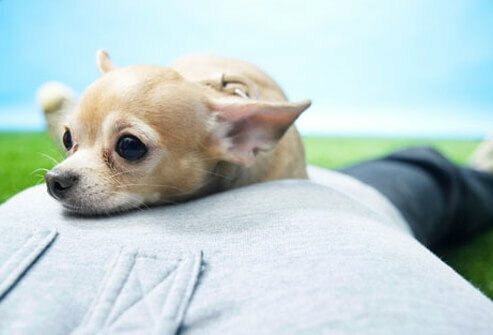 People with AIDS are less likely to be depressed if they own a pet, especially if they're strongly attached. 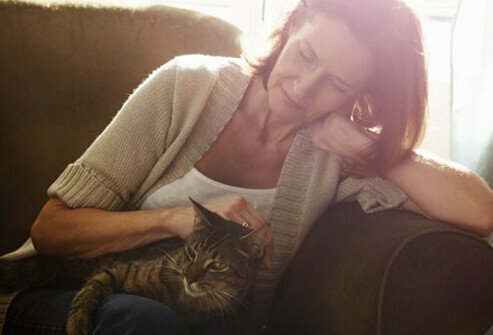 And with an animal in the home, people with Alzheimer's have fewer anxious outbursts. The animal also helps the caregivers feel less burdened. Cats seem to be particularly helpful since they require less care than dogs. DogaDog.com. Epilepsy Foundation: "Seizure Dogs." Paws for Comfort. Pet Partners.